All things have a rhythm. All the universe is one frequency after another. Some in lower tones and others in higher. The octave raises based on the purity of sound. All things have a rhythm. All the universe is one frequency after another. Some in lower tones and others in higher. The octave raises based on the purity of sound. The vibration reverberates based on the level of output and energetic buildup. All of this is associated in particle and subatomic particle that are in dimension and outside of it. There is a pulse difference between every single vibration, which has a different signature attached to it. They can also be grouped into one another to create harmony or complete chaos and disruption when on frequency dominates another. There must be a cooperation for a resonate between the tones. 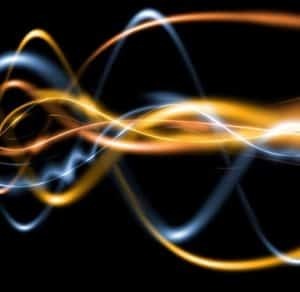 Furthermore, a responsibility to how each tone and pulse create a vibration which affects the other frequency by lower it or raising it higher. This is what is going on in every facet of our life and all living and non-living things. Like a DJ which can manipulate the tones and octaves to create and your body and mind to connect and move and merge with it in a dance or trance or even shift of your emotions and elevation of your spirit. This is known as energetic alchemy. So let’s give our DJ brothers and sisters a big WOW. It’s an art and takes mastery over time to learn how to intermingle the vibrations to get a desired affect that will evoke change in people. We can do this on many earthy levels. In Art in our conversations and the way, we talk to ourselves and what we create in our passions and joys or even our pain and suffering all have a frequency and signature attached to it and when it collides with another, it can make love or make war happen. We are the sounds of the ages. How will you emit your pulse and rhythm? Harmony or disharmony the choice is yours.